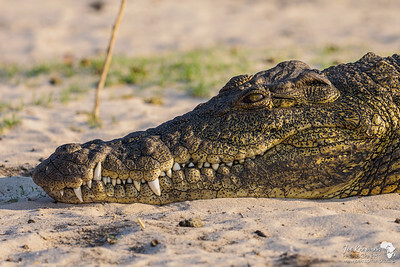 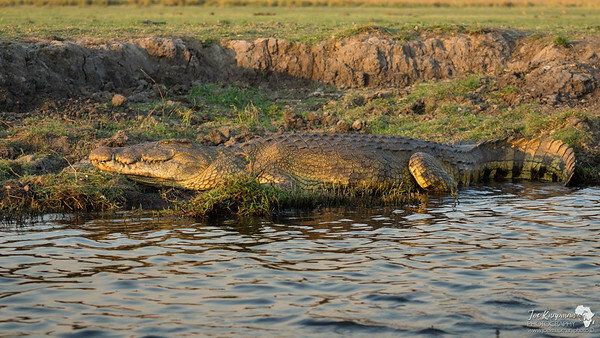 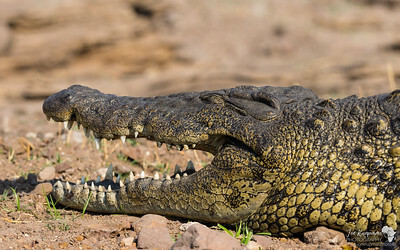 A Crocodile on the bank of the Chobe river rests - it's mouth open to help regulate heat. 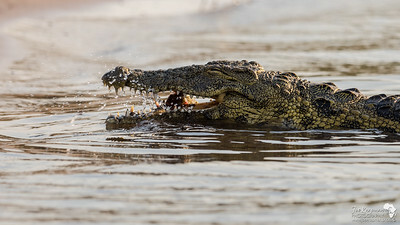 A small fish becomes supper for this crocodile on the Chobe River. 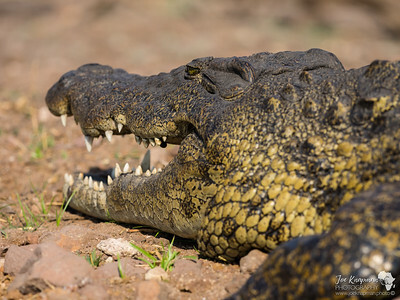 This huge Croc rests up on the banks of one of Chobe's islands. 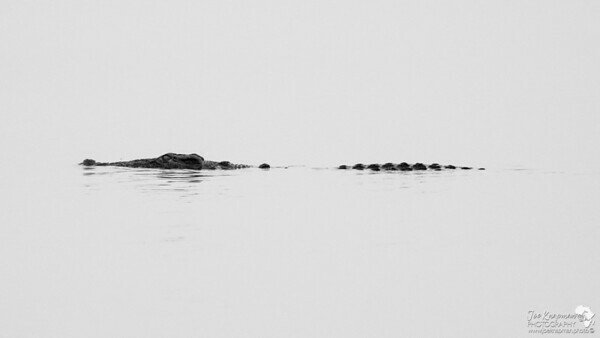 This Crocodile slips through the Chobe River at dawn without barely a ripple to give it away. 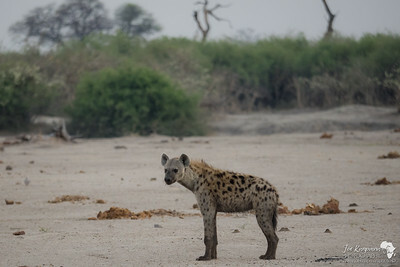 Although often depicted as mangy and dirty, hyena have an elegance of beauty to them. 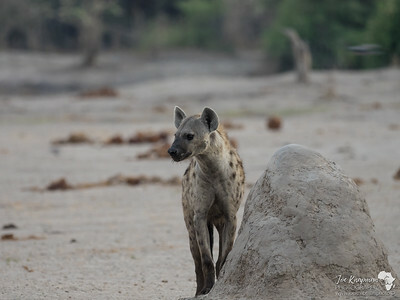 Captured next to a termite mound in the Savuti channel. 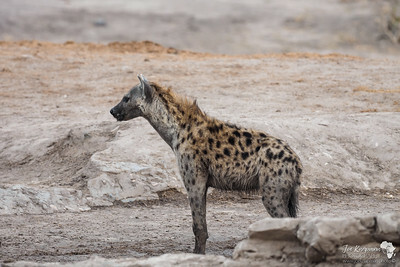 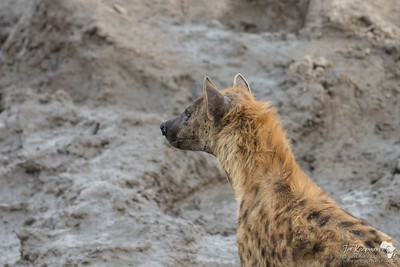 Hyena have such a distinguished profile. 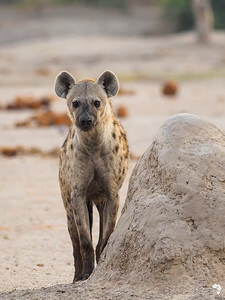 Ears ever alert to the area. 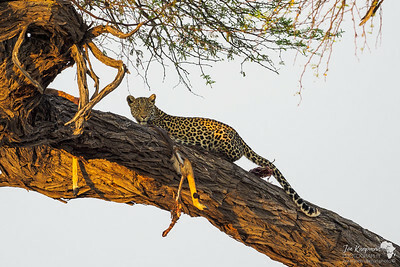 Returning in the morning to a tree where last night's kill was left. 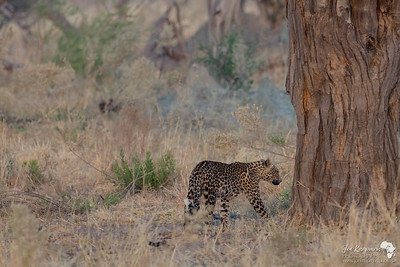 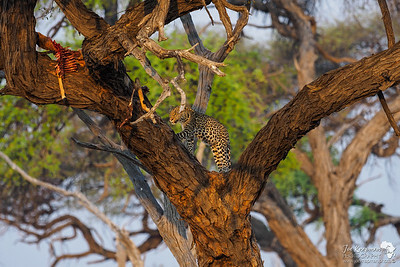 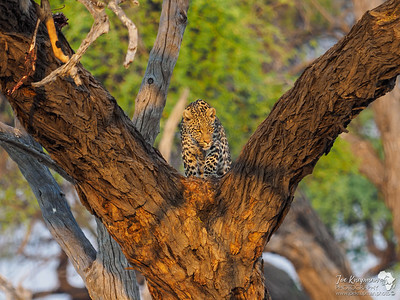 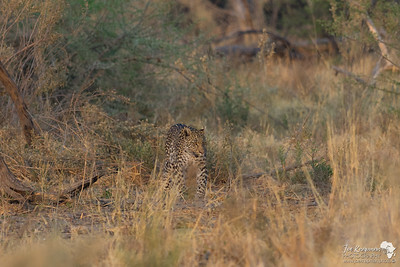 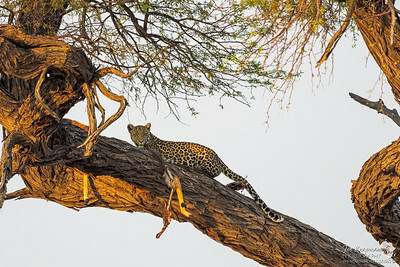 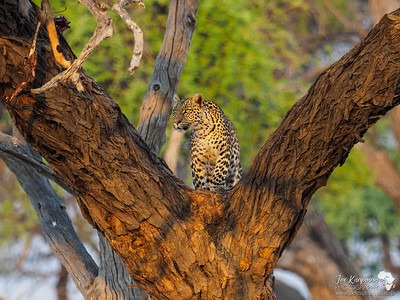 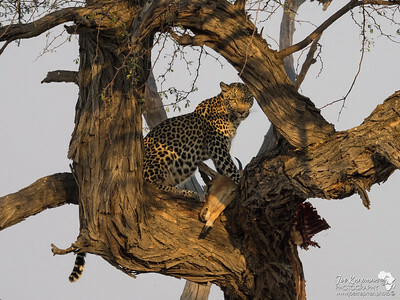 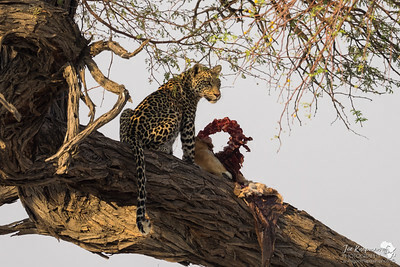 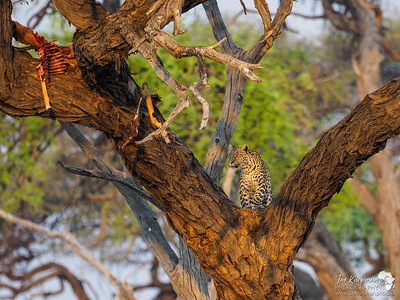 Leopards eyes are filled with intent as he focuses in the left over of the impala hung in the tree. 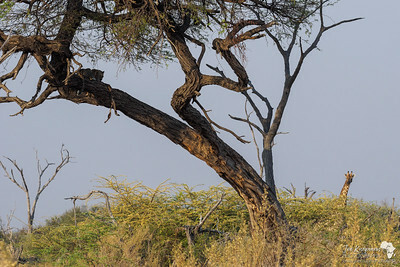 A giraffe lets us know there is something in the tree.